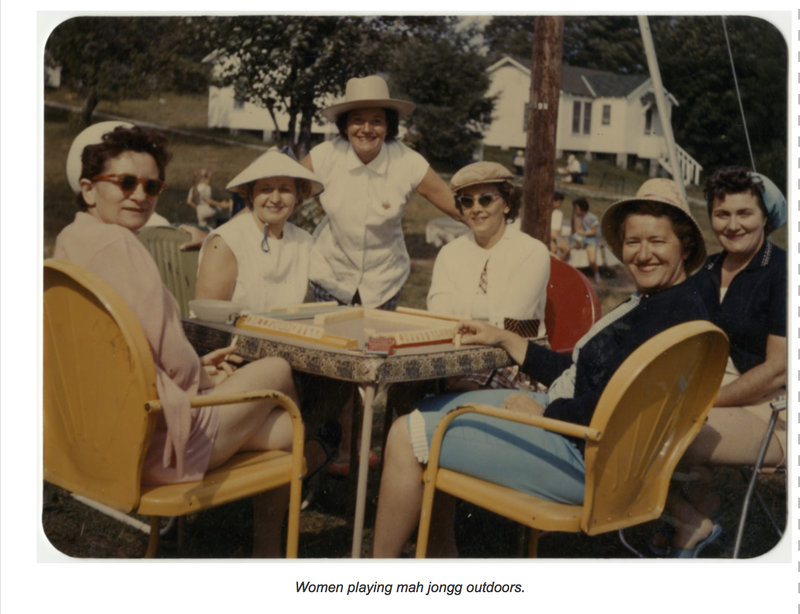 …Mah Jongg is everywhere! 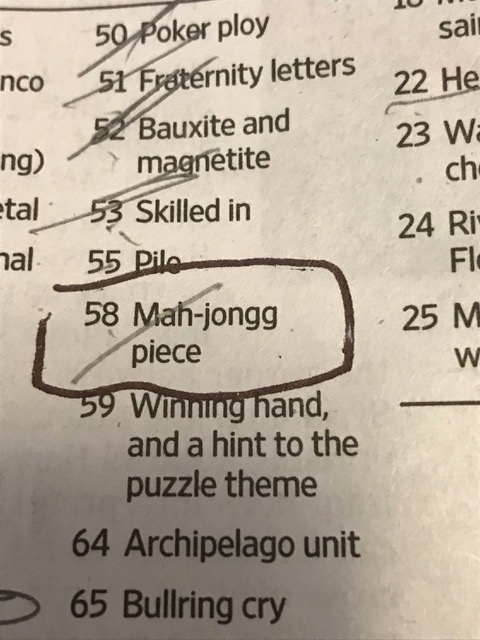 Check out this 58 across clue in yesterday’s Wall Street Journal crossword puzzle. Do you know the answer?! 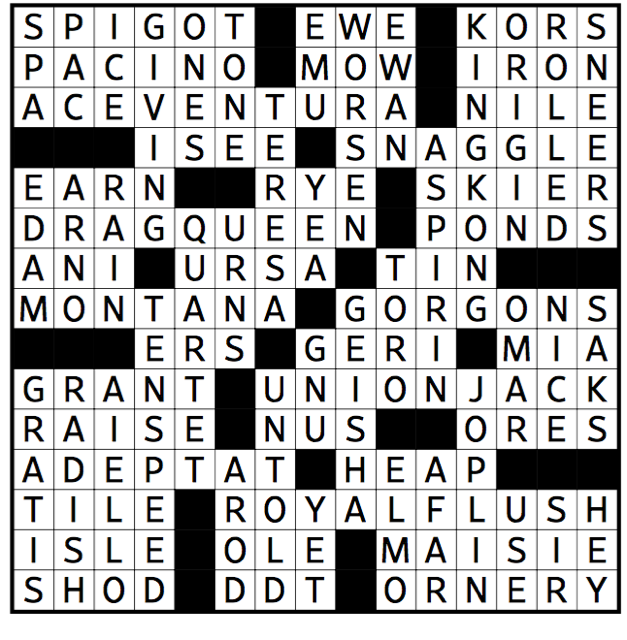 Scroll down to see the completed puzzle and learn if you were correct! 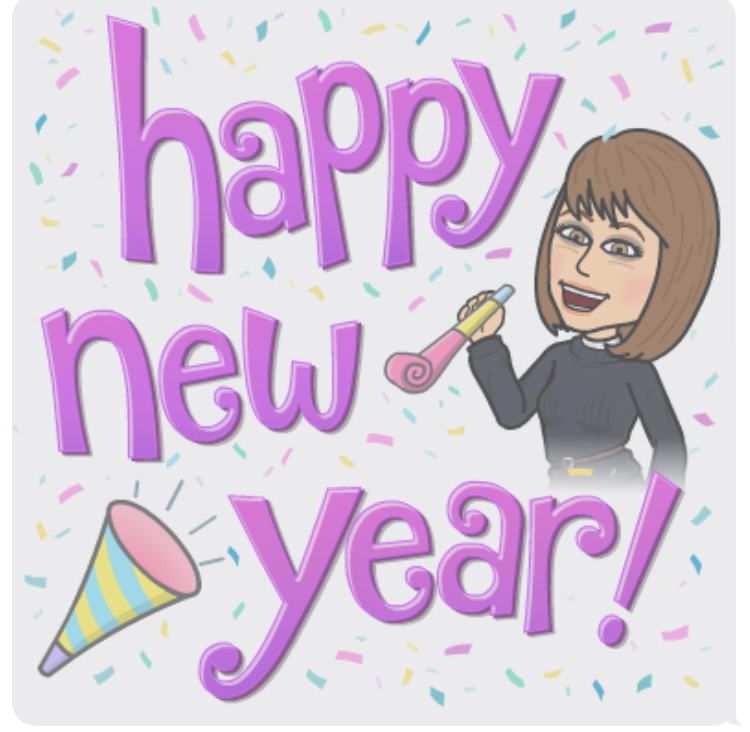 This entry was posted in Mah Jongg and Me and tagged crossword puzzles, mah jongg, mahjong, tile, Wall Street Journal on January 19, 2017 by Mah Jongg and Me. 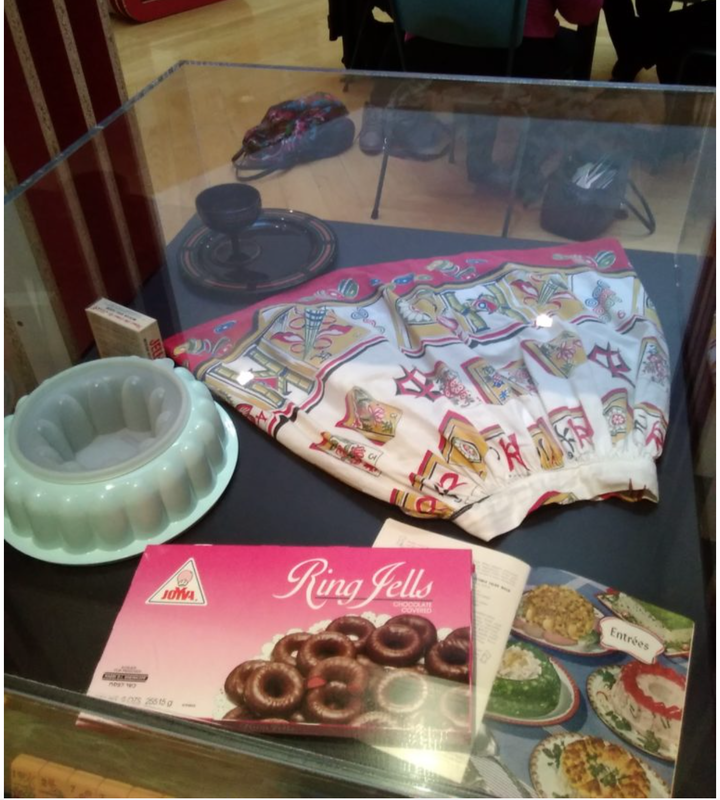 THE HISTORY OF MAH JONGG SNACKS! 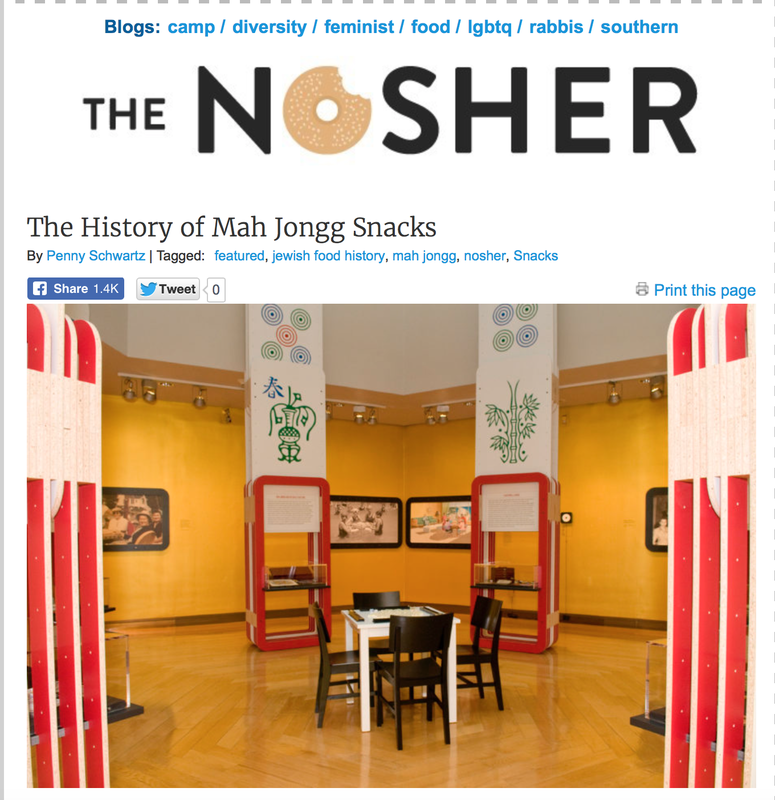 The wonderful Faye Scher shared a link from My Jewish Learning – this link took us to “The History of Mah Jongg Snacks” written by “The Nosher” (explained as a “blogging tour of all things Jewish food, recipes, and news, written by Shannon Sarna and other Jewish food lovers.”). If you have been a reader of this blog over the years then you know how important I think snacks are to our beloved game…and I suspect you will all enjoy this article. Pass the licorice! 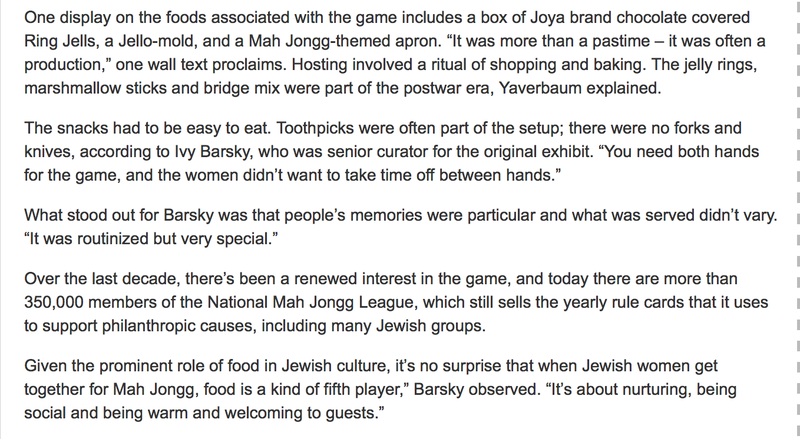 I had to laugh at the last paragraph in the article when Ivy Barsky observes, “food is a kind of fifth player.” So true!!!! 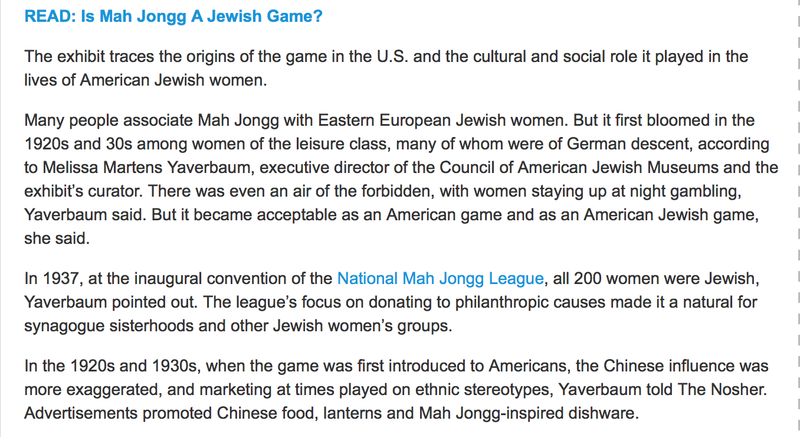 This entry was posted in Mah Jongg and Me and tagged Audrey Kaplan, Faye Scher, Ivy Barsky, mah jongg, mahjong, Melissa Martens Yaverbaum, My Jewish Learning, National Mah Jongg League, New York City, project mah jongg, Shannon Sarna, The Museum of Jewish Heritage, The Nosher on January 3, 2017 by Mah Jongg and Me. 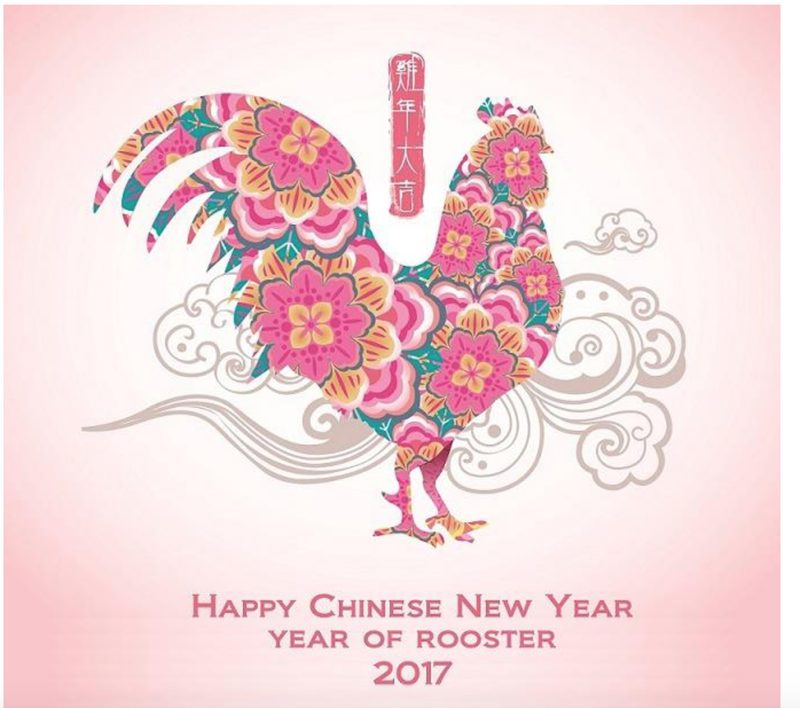 Don’t forget that today – January 1st, 2017, is the day to place your order with the National Mah Jongg League for your new 2017 card (to be delivered in late March/early April). The sooner you place your order, the sooner you will receive your card. 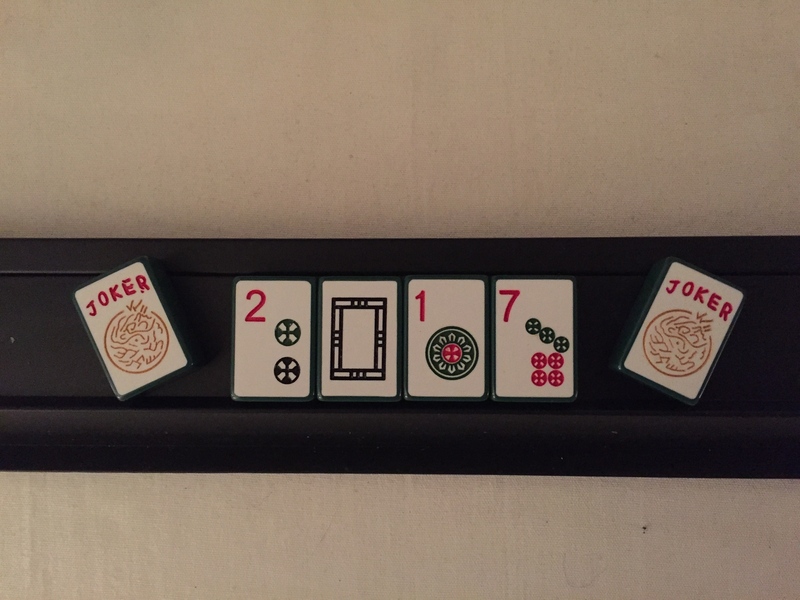 And, of course, here’s wishing you all lots and lots of Jokers in 2017!!! 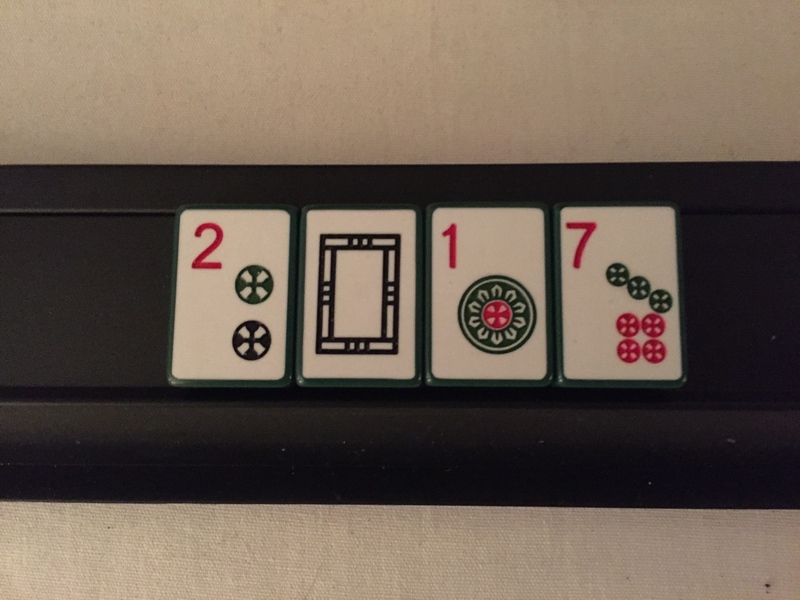 This entry was posted in Mah Jongg and Me and tagged 2017, mah jongg, mahjong, National Mah Jongg League, Toby Salk on January 1, 2017 by Mah Jongg and Me.